How is it June already? Somehow May has sneaked past us very quickly and we’re almost into the sixth month of the year. Life’s about to get busy for the Barries, we’ve both got conferences coming up for work, friends from London are visiting, we’re going on a youth weekend away, and it’s Mr B’s birthday too! 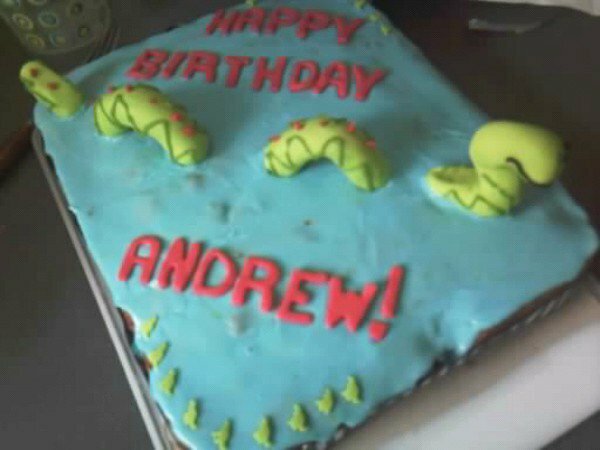 I’m already thinking about what to do for his birthday cake – below is what my housemate Ruth and I made two years ago (they do say the way to a man’s heart is through his stomach – and I like to think I got there via this cake haha!) Anyway, the point of this blog post was to say that I may not be blogging much through June, but I’ll be back. I’ll also be able to share the results (if they’re any good!) of my first cupcake commission that I’m doing this week – 36 decorated cupcakes for a 16th birthday. Scary! Look forward to seeing the cupcakes, I’m sure they’ll be great!